Old Montreal, the two-kilometre stretch of Montreal from Saint-Antoine to the water, McGill to St-Hubert (give or take a block), has traditionally been known as a tourist trap, where cruise passengers spend an afternoon before heading up the St. Lawrence to their next port of call. But thanks to a recent condo boom in the adjacent neighbourhood of Griffintown and in communities across the river, locals have turned their attention to the area, which has seen a number of boutiques, bars, restaurants and retailers open up shop in the past couple years. "It's become trendy to be here," Danny Pavlopoulos, co-founder of the tour company Spade & Palacio, says. 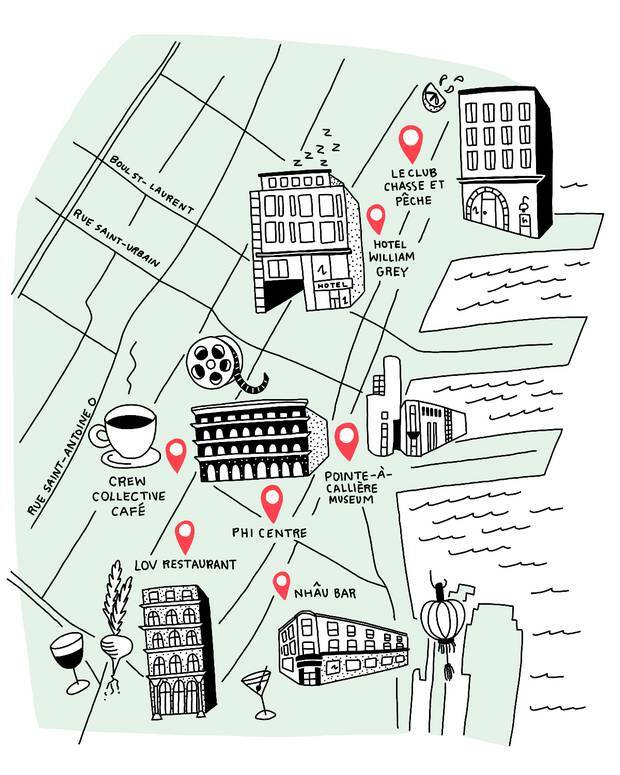 The neighbourhood is a mix of old – Montreal was founded in these very streets – and new, with boundary-pushing galleries and dynamic restaurants and bars opening up in historic buildings. Best of all, no matter where you are in the area, nothing is more than a 15-minute walk away. 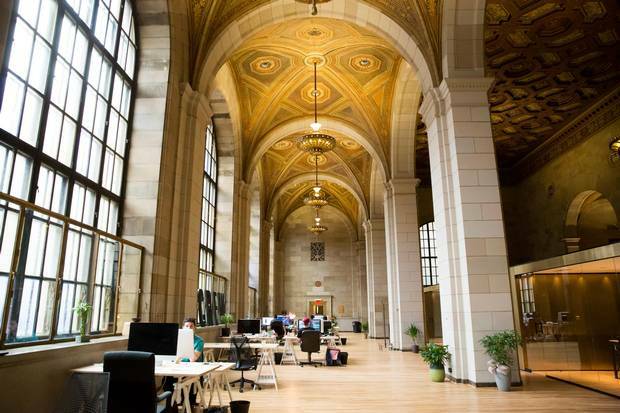 Overlooking Place Jacques-Cartier, Old Montreal's promenade, William Gray opened in 2016 as modern boutique hotel that uses two 18th-century heritage homes as its base, one of which belonged to Edward-William Gray, a sheriff. 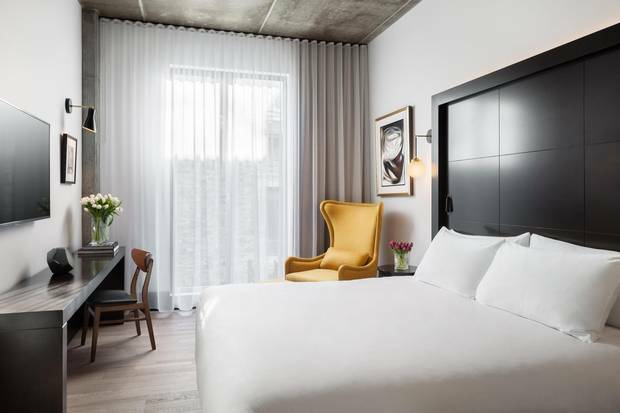 On site, the hotel boasts a restaurant (Maggie Oakes, named after Gray's wife), and downtown dispatches of the famed Mile End café Olimpico and streetwear boutique Off The Hook. William Gray is a modern boutique hotel. 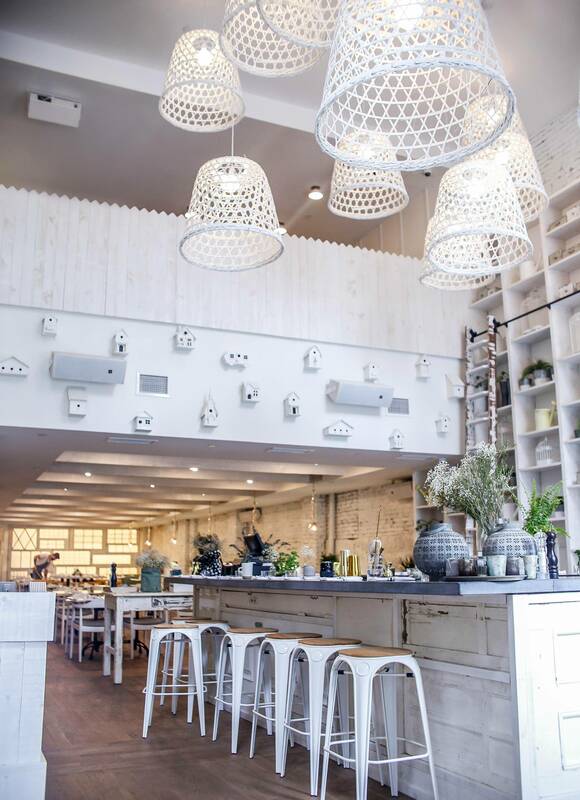 The bright, airy space is as garden-fresh as chef Stephanie Audet's menu at Lov, which stands for local, organic and vegan (though the menu has a healthy offering of vegetarian dishes). The Old Montreal location is the restaurant's second, and it's a busy destination given its proximity to downtown's office towers and Griffintown's condos. Crew Collective is half co-working space, half café. The Fort Ville-Marie pavilion debuted last year. The writer travelled as a guest of Montreal Tourism. It did not review or approve this article.